Now a days Most of the people buy Android Smartphone due to huge amount of Apps in Android Market and it’s easy to customize. Few years ago when i was small smartphones where too costly so that average people could’t buy them but now the trend have came that every user is switching to Android Smartphone. Samsung Galaxy Ace is a smartphone runs on Android 2.3 (Gingerbread) operating system. Samsung Galaxy Ace Runs on 832GHZ processor and support GSM and 3G connectivity. Samsung Galaxy Ace comes with 3.5 inch Reality Display with 320×240 pixel resolution with Samsung Touchwiz UI. 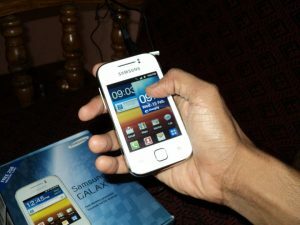 Galaxy Ace comes with 5MP Camera loaded with 2X zoom and Video recording at 15 fps . HTC Explorer is a smartphone runs on Android 2.3 (Gingerbread) operating system. HTC Explorer Runs on 600 MHZ processor and support GSM and 3G connectivity. HTC Explorer comes with 3.2 inch Reality Display with 320×480 pixel resolution with HTC Sense UI. HTC Explorer comes with 3MP Camera. Samsung Galaxy Y S5360 is a smartphone runs on Android 2.3 (Gingerbread) operating system. Samsung Galaxy Y S5 Runs on 832GHZ processor and support GSM and 3G connectivity. Samsung Galaxy Y comes with 3.0 inch Reality Display with 320×240 pixel resolution with Samsung Touchwiz UI. Galaxy Y S5 comes with 2MP Camera loaded with 2X zoom and Video recording at 15 fps . Camera comes with features like Smile Detection, panorama and White balance to experience feel of Photography. Sony Xperia Tipo is a smartphone runs on Android 4.0 (Ice Cream Sandwich) operating system. Sony Xperia Tipo Runs on 800 MHZ processor and support GSM and 3G connectivity. Sony Xperia Tipo comes with 3.2 inch Reality Display with 320×480 pixel HVGA resolution. Sony Xperia Tipo comes with 3.2MP Camera. 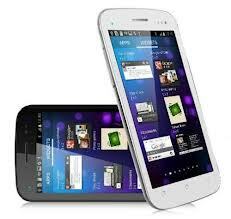 Karbonn A21 is a smartphone runs on Android 4.0 (Ice Cream Sandwich) operating system. Karbonn A21 Runs on 1.2 GHz Dual Core Scorpion Processor and support GSM and 3G connectivity. Karbonn A21 comes with 4.5-inch Capacitive Touchscreen. Karbonn A21 comes with 5 MP primary Camera and 1.3 MP Secondary Camera.